Bede’s Bakehouse, St Peter’s Church in Monkwearmouth will play host to The Sunderland Book Project 22nd March 2014- 18th May 2014. Organised by Ian Potts, the gallery space in the cafe area of the church is an ideal place to sit down with a cuppa and browse the collection of books. St Peter’s sits on the site of the monastery on whose lands the Venerable Bede was born and it was here at Wearmouth that at the age of 7 he entered the schooling of the monastery. There are few books in the collection referencing St Peters and the history of manuscripts and book making. 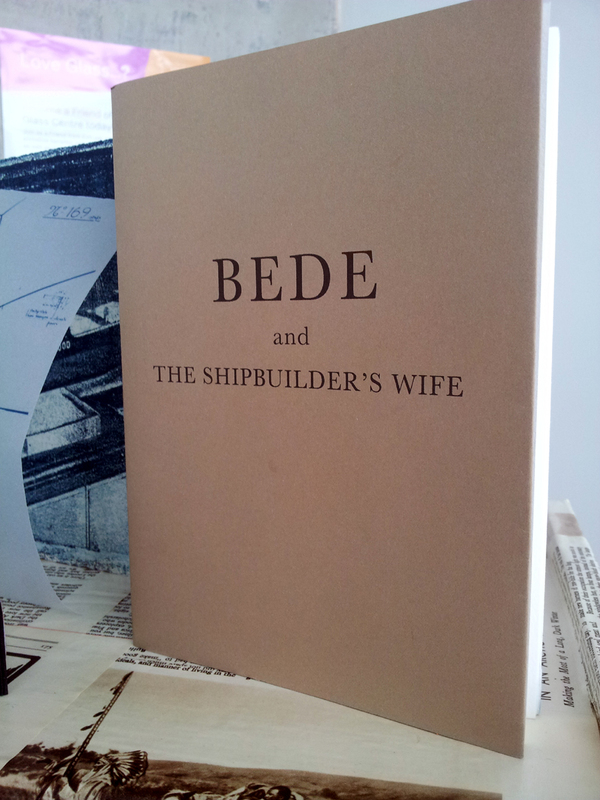 Arvon Wellen’s book is always a good read, I love his parallel interpretation of the history of Bede and Shipbuilding…….I won’t spoil the surprise….read it yourself at the Bakerhouse Gallery in Wearmouth.